In Letters to the Church, which released just a few days ago, Chan challenges his contemporaries to embrace the hard, authentic journey of committing to Christ. 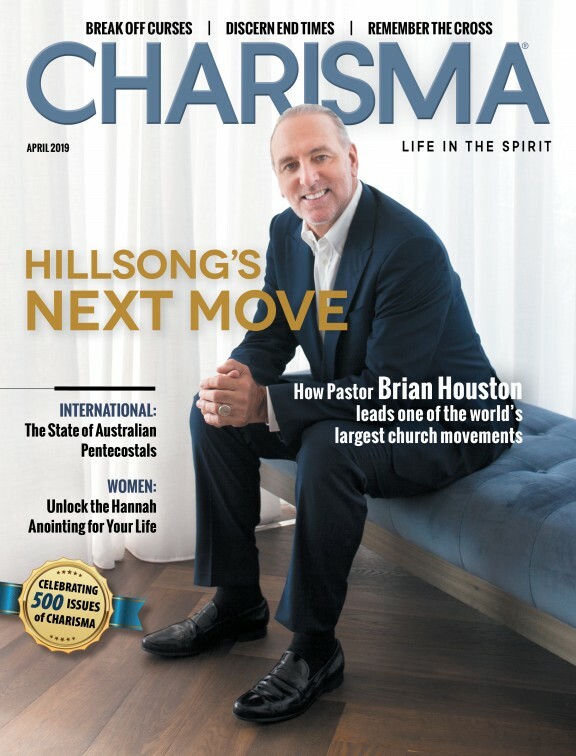 He spoke with Charisma News earlier this year about his new book and more. Below is Part 2 of the interview. Click here to read part 1. How does the message in Letters to the Church compare to the letters Paul wrote to the church? And then just explaining that in our day and age, it seems like it'd be the same message to us because it's like consider this, this and this. That's a tough question, because I definitely don't want to say just as Paul wrote to the Colossians, I'm writing to the Americans. No, no, no far from that. I'm just more reminding people what Paul wrote and what Jesus wrote. Is there any sort of caution you might give the church? Just understand that we are in a time where people are very quick to speak, and we value our opinions so much, and to really take some time to listen to consider before responding. Understand that that's a biblical command from God: be slow to speak. And we feel the pressure. That's why we have Twitter, 'I want to get a message out immediately to all of these people right away because I just had this thought three seconds ago.' And I understand that's the way the world is, but it's still not biblical. Let's just take some time, let's not get angry. The Bible says we should be eager to maintain the spirit of unity. I tried to write it what that in mind; I'm not trying to bash anyone. I'm trying to look at myself and look at Scripture and compare myself to Scripture and see where I fall short and think, Gosh, I need to change this. Have you guys ever struggled with this? And let's change this together. But I just think people are very eager to throw their opinions out there, and we don't think through the consequences of how I might've hurt the church, I might've slandered God's anointed. That's a scary thing. And we see a lot of that in Scripture where people acted too quickly or spoke too soon, and it didn't just hurt them, it hurt those around them. I was just reading yesterday in Chronicles about David's census again. Seventy thousand people died, and David's like, 'Gosh, Lord, please have mercy! I'm the one who messed this up!' And I'm reading here going, 'Yes, he's the one that messed that up. You just killed 70,000 people.' That's a lot of people, and it shows us that it's always been this way, that my actions don't just affect me. They can really hurt a lot of people. I tried to very carefully write and speak, because we live in a world where there's not a lot of caution. How would you respond to the #MeToo movement as women call out pastors who have allegedly abused them? I would say a couple of things. We have to be very sensitive to people and their hurts and their abuses. I'm grateful that the church is doing that now and listening. We do have to hold people accountable to their actions. The one thing I would say, too, I really wrestled in the book, because I write a chapter to pastors, there's the one side where not many of us should be teachers because we're held to a higher level of accountability by God himself, we're going to be judged more harshly, and there's a truth to that. So I'm writing that to pastors, saying, "Hey, let's really look at our lives." But then there's a flip side to this where people are expecting so much from their pastors on the other side, that there's no forgiveness, and to really look at every individual situation, every person as a person, and go, "OK, what really happened? How was it dealt with? Let's deal with it right. Let's show grace and look at our own lives. Think, OK, what have I done?" Just be mindful of everyone that's involved. I think sometimes, let's take our president for example. It's very easy to point out faults and everything else, and I can do that, as well. But there's a flip side, too, where it's like, OK, he's a human being, and I'm going to pray that the grace of God be upon him. I cannot imagine having to make some of the decisions he has to make. In other words, just remember he is a human being, too. Pray for them, seek God's mercy and grace upon their lives. Would the model you discuss in your book—smaller congregations with distributed responsibilities—help prevent abusive situations? Yeah, definitely. In some ways, first of all, getting realistic, like how many people can a person truly shepherd? If you give me 100 people, I just promise you I will fail them if I'm called to shepherd them all. It's not fair to them. It's not fair to me. They should have more time with their shepherd. But if I have 100 people, how am I going to do that, much less 5,000? It's not fair to them. They really need someone to walk alongside of them and disciple them. Jesus did that well with his dozen guys. There just needs to be more of that. Then obviously there were the crowds of the thousands [where] everyone was unhappy with Him because they all wanted something from Him. They all wanted something different. There's something beautiful about being able to shepherd a group and know that these [people] really are my responsibility. Sure, I can teach the masses, but I'm really going to shepherd this group of people. I think it helps the situation because you just have to do the math and realize we only have so much time in a day. I'm only going to be able to dig deeply into a few lives. If I do that well, then we can multiply this. But if I'm expected to care for so many people, I'm going to frustrate them, and they are going to frustrate me. What has the big-C Church lost in its pursuit to grow? I would say individual responsibility; that's a big one. I don't see people expecting God to be doing immeasurably more than they can ask or imagine, according to the power that is at work in them. They don't take it literally. Like, God wants to do this through me. He wants me to make disciples. It's a lot easier to hide behind a successful teacher and say, "I'm one of his sheep." Oh, OK, you're automatically good, like you're part of a winning team rather than individually saying, "Gosh, I shepherd this group of people. And I disciple them well, and I take this seriously." I would say that's a big one, their own gift to the body has been lost. At the end of the day, I think of Colossians 1:9 where Paul says, "From the day we heard, we've not ceased to pray for you, asking that you may be filled with the knowledge of his will and all spiritual wisdom and understanding." Paul's prayer for the Colossians was that they would be filled with the knowledge of God's will in all spiritual wisdom and understanding. He wanted them to be able to know God deeply and know His will, and that God would give them spiritual wisdom and understanding. Too often, we're looking to other people for that, like, 'Hey, tell me what God's will is for my life,' rather than really believing that we ourselves could be filled with the knowledge of His will and with spiritual wisdom and understanding. I'm appealing to people to believe in the power of the Holy Spirit, believe that they themselves, because the blood of Christ can go right into the presence of God themselves, and seek Him and know Him and to enjoy that. It's only as you do that that you will benefit the church. Otherwise, you're going to hurt the church when you father with them. If you don't know God, you yourself are not overflowing, because the Lord is your shepherd and your cup is overflowing and you're constantly just needing that from someone else. I guess my prayer is that anyone who reads this is just to get alone with the Lord. He is your shepherd. Your cup can overflow with just you and Him and then you'll actually be a blessing to the church rather than coming as this critical spirit whose needs aren't met. Then you can actually show up and be a giver of life to those around you.